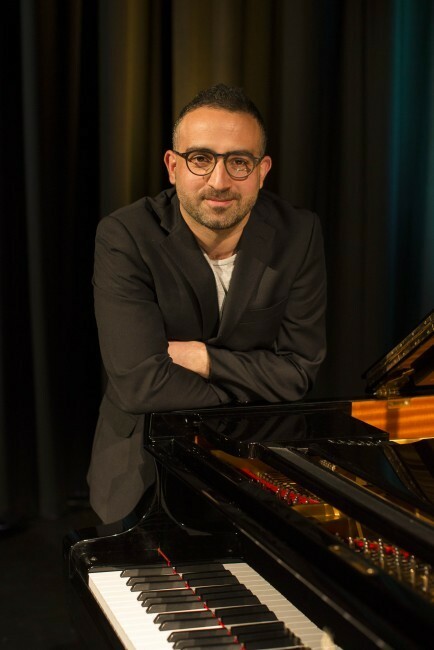 Vatche Jambazian, 30 years old from Sydney - Australian National Piano Award - The premier piano competition in Australia. When asked who inspires him, Vatche responds, "Every single musician on this planet. We are all in this together and we are all striving for the same goal, to communicate through music without words". Where do you live this year when in Australia: When I come back home from NYC I live in the suburb of Castle Hill in Sydney. Do you still study & where – when will you finish? I currently study in New York City, and am pursuing my Doctorate at the Manhattan School of Music (finishing May 2020). I finished my Masters at The Juilliard School in 2017. What drew you to become a musician? I don’t think there was ever a defining moment which drew me to music, I think from the day I was born I processed sounds and music in a very natural way and strived to express these emotions through music as I was in the process of learning my craft at the piano. Every day is a new discovery and process which is vital to who I am as a musician. Do you sometimes perform in an ensemble? I perform very regularly in ensembles, whether it’s a piano trio, piano quartet, piano quintet or with singers. Recently I performed Piano Quintets of Brahms and Schumann in Spain and New York and will be performing Brahms and Schumann Piano Quintets in Sydney at the Sydney Conservatorium with Faculty and friends. Last year, my piano trio from Juilliard toured Australia and we had our Sydney Opera House debut performing the works of Brahms and young Australian composer Andrew Howes, who wrote us a chamber opera which we performed with the amazing Susannah Lawergren. One of the most inspirational moments as a chamber musician was to work with composer Kaija Saariaho and perform her Piano Trio in New York for the Rolex Arts Initiative. What is so special about the piano and its music? The piano is an extension of myself, I feel at one with the instrument just as easily as I feel at odds with it. It is a lifelong relationship which has no boundaries and takes a lot of patience and understanding. The music I perform, whether its Beethoven, Boulez, or Schubert, does not receive any more or any less attention to detail - what I am playing at that moment is given my full concentration and energy. There is always something to be discovered through any piece of music and to communicate that to our audiences is also the process of the quest to understand what we are playing and of our being. What else can you play? I don’t play any other instruments but my dream has always been to play the cello just to be able to play the third movement cello solo in Brahms Piano Concerto No.2. Do you sing? Definitely not. What are your hobbies and why are you passionate about them? Cooking is my passion - discovering new flavours and creating new recipes using techniques (such as the sous vide) is so much fun. I love cooking very complex dishes as well as the simplest things and usually never buy anything from a can. I always like to create my own pasta sauces, curry pastes, burger patties, sauces, etc. Check out my Instagram - it's all on there. Do you do a lot of travel? Where have you been overseas in the past few years? I travel quite extensively, in the past few years I have been to Spain, the UK, Germany, The Netherlands, Canada, Italy, India, Sri Lanka, Jordan, Oman, Australia, US, Jamaica, St.Lucia, and Indonesia to name a few. Most of these trips have been for concerts though sometimes it's nice to go to places and try not to think about music, but I usually find myself looking for a piano after the first day. What are your goals over the next two years? I don’t necessarily set goals, I am a very ‘in the moment’ kind of guy. I think that hard work and consistency will get me to where I want to be. Of course music and teaching is a big part of my life, but perhaps in the future I would love to have my own students in a conservatorium as well as maintaining a performance career. Who inspires you and why? Where do I even begin to find who inspires me. It's such a long list but I would say my closest friends are my inspiration. We have some of the most profound and some of the most childish conversations and experiences and it’s what I need to get me through day to day. Which musician inspires you any why? Sometimes the most inspirational musicians are the ones I completely disagree with in terms of interpretation - it not only gives me a different perspective to think about but also because it can sometimes be very fascinating to listen to. I have to be challenged to be inspired by musicians. Do you play sports? Love basketball, although I’ve had to stop playing for a while because I don’t want to damage my fingers. Name 4 of your favourite things to do to chill out/have fun: Hang out with friends, cook and eat and drink, ride my bike, and watch Netflix. What’s your idea of fashion/what do you prefer to wear? I have no preferences, I just like to wear clothes which compliment who I am. I am a sporty guy and ride my bike everywhere whether its school or outings, so I guess I am always wearing sports trackpants and shirts. What car do you drive (give a description of it). do you have a current drivers licence? I don’t have a car as I live in New York City where I either ride my bike (very dangerous in New York) or ride the subway which is 24 hrs here. How do you relax and unwind from rehearsing? Drinking and cooking. How do you care for your back etc. (to stop injuries etc)? Always being relaxed physically and not putting myself through strenuous exercises or over practicing. Do you love the movies? I wouldn’t say I love movies, but I do like to watch a movie now and again. Although I haven’t been to the cinemas in nearly 7 years. In Sydney I love The Paragon because I just have so many fond memories of my undergraduate years in Sydney and going there with all my friends after concerts or classes and having many pints and wedges. What is your favourite alcoholic drink? Macallan Fine Oak 15 yrs is my favourite drink. Neat of course, no ice. Favourite meal / food / fruit and why? I have so many favourite meals but I have to say the cuisine I probably love the most is Thai food. I love the spiciness, sweetness, and the complexity in the curries and it’s always very satisfying when making it or eating it at a good restaurant. Do you compose your own music? Yes I do compose some music. What do you hope to get out of this Australian National Piano Award? Winning the top prize would be such an honour, but regardless of the outcome I get to perform in Shepparton for one of the warmest audiences I have encountered anywhere in the world. Getting to share my music making with them is very exciting. How long have you been rehearsing for this event? It has been a lifelong process. You can never be prepared enough for competitions, it has to be a result of years and years of consistent hard work. How did you hear about the Australian National Piano Award? I competed in the Award 8 years ago and back then I knew about the competition because of its reputation around music schools and musicians. ANPA Publicity & Communications is managed by Nicola Archer Communications.